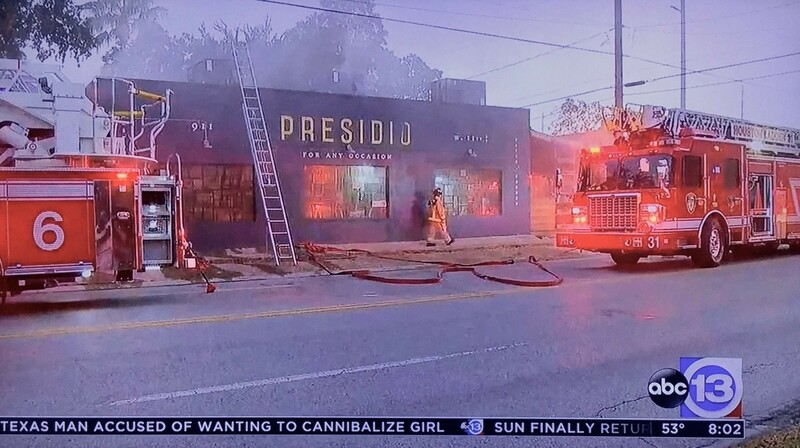 Early this morning, a fire broke out at Heights restaurant Presidio (911 West 11th). It was first reported by an ABC Channel 13 news broadcast this morning, October 27. Presidio opened in February 2017 by Charles Bishop, Chef Adam Dorris and contractor Taylor Lee. Presidio is a popular dining destination in the Heights featuring live music on the patio and known as a hot spot for happy hours. Houston Food Finder attempted to contact the Bishop and Dorris for comment as to the cause and extent of the fire but as of press time has not received a response to that inquiry. Bishop did confirm that he is no longer involved with the operations of the restaurant but serves exclusively in an investment capacity. 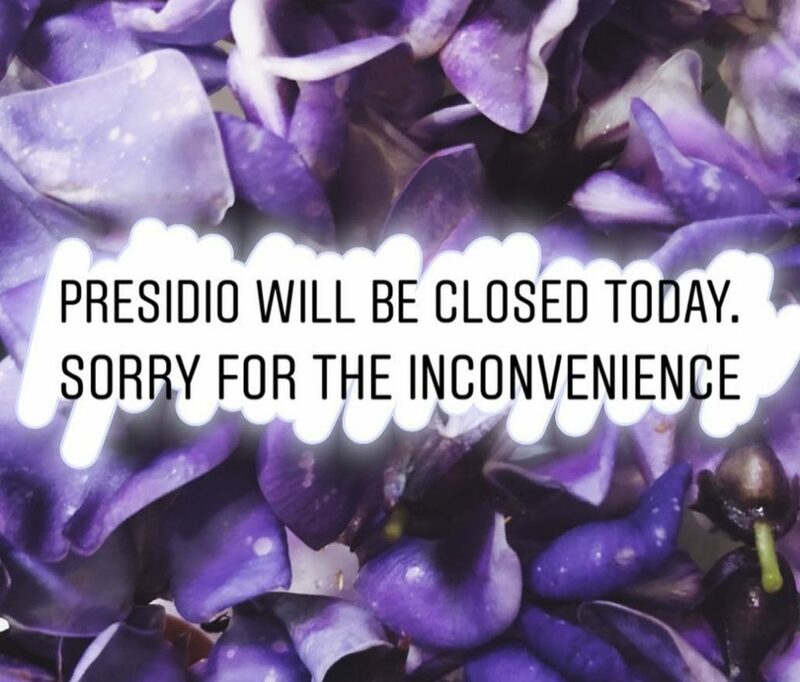 Presidio’s Facebook and Instagram accounts report that the restaurant is closed for the day. Nearly a year ago in November 2017 another restaurant fire rocked Southern Goods, which was operated by Bishop and chef Lyle Bento. The resulting damage was so extensive that the restaurant closed permanently and Bento returned to Underbelly Hospitality. Message on Presido’s social media accounts. This is a developing story and we’ll update it as soon as we receive additional information.